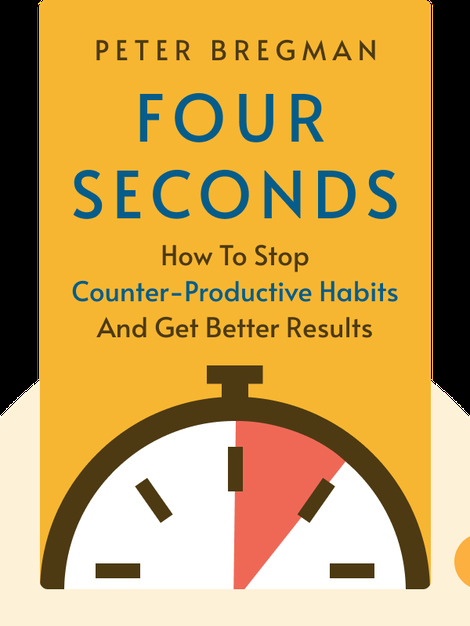 Four Seconds (2015) gives precise examples of how to rid yourself of self-defeating habits at work, at home and in your relationships. A four-second pause helps slow down hasty, unhappy reactions and is the first step to reworking the way you communicate with others and receive feedback from them. You really can be prepared for anything if you just take a breath first. 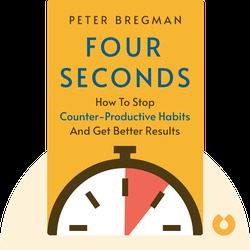 Peter Bregman is the CEO of Bregman Partners, Inc., a coaching consultancy that helps leaders achieve their goals. He is the author of the Wall Street Journal-bestselling book 18 Minutes and you can find his professional input in such publications as Forbes, Psychology Today and Harvard Business Review.